Island e-Beam LLC , the "GO TO" company for all of your Thin Film related needs, specializing in electron beam and thermal evaporation equipment. As well as custom vacuum brazing capabilities. 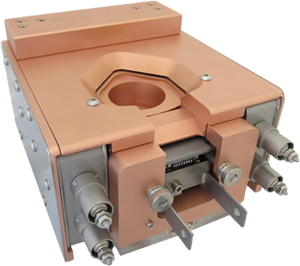 Small, Medium, and Large electron beam source frames to fit your specific needs. Monitior control systems, power supplies and spare parts to support and maintain. At Island e-Beam LLC we believe customer service is paramount, from the concept design to finished product, to installation and start up support. You will always receive the utmost attention possible by individuals that not only build the equipment but also know how it is used and serviced.